While not designed specifically as lathe travelling guards, the following magnetic base screens are sometimes used on low risk machines for light turning work with advantage. A risk assessment taking usage of these screens into account should be completed before use of the screens and it is the purchaser’s responsibility to determine suitability for their application. 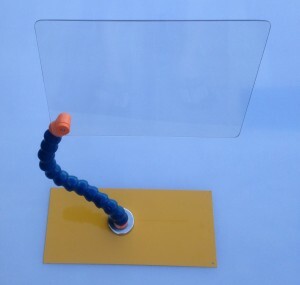 A convenient reasonably priced screen with polycarbonate clear screen 190mm x 305mm on a flexible Loc – Line support with a simple magnetic base. Tecno Model PBM 30 / 440 Magnetic Base Screen. 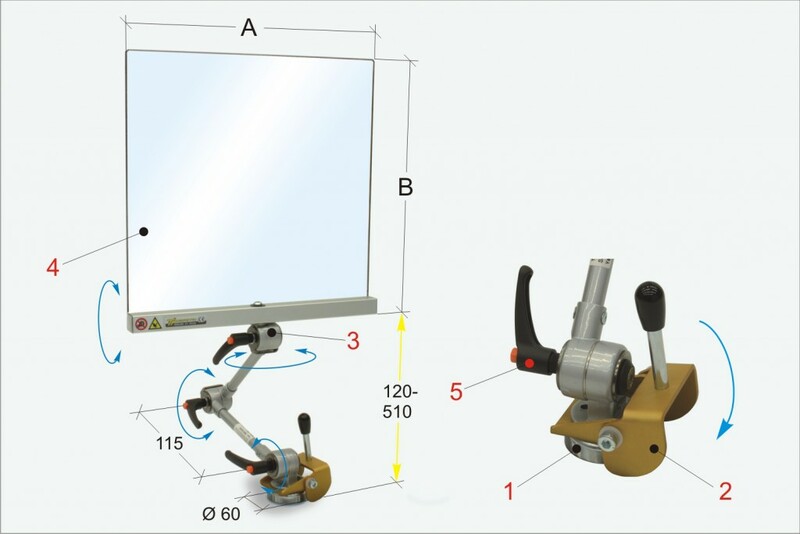 This screen is the smallest of three sizes available and consists of a permanent magnet base with cam release lever, an articulated arm for positioning (with locks) and a clear polycarbonate screen. This small screen is sometimes used on lathes for the protection of the operator from flying chips by clamping to a suitable face on the saddle or apron. NOTE: Larger models available – refer to Miscellaneous Products Section of this website.